Join us on the farm as we showcase our best summer blooms with featured guest baker Amanda Ngo from Paper Heart Patisserie. Learn how to use freshest summer flowers to create a beautifully decorated buttercream cake. Students will enjoy a tour of our rose fields lead by Felicia Alvarez, founder & farmer of Menagerie Farm & Flower, where you’ll get to pick the best summer blooms. 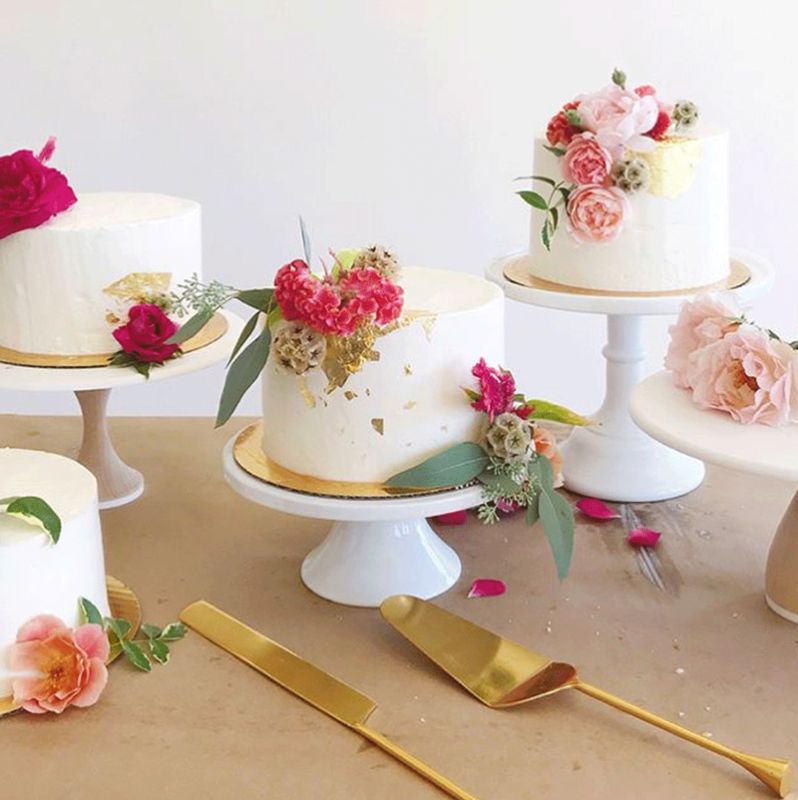 Amanda Ngo, baker & artist from Paper Heart Patisserie, will show you her design techniques and mechanics to create stylish floral arrangements on cakes. She’ll demonstrate on single, double and three tier cakes and you’ll get to try your hand at decorating your own 6 inch buttercream cake. All materials needed from the flowers to your cake are included and the best part is you get to take your cake home to enjoy. The day will be captured by the talented Ashley Noelle Edwards of Ashley Noelle Edwards Photography and you’ll also receive a digital photo of your cake to commemorate the day. No prior floral design or baking experience is needed. We’ll make you feel right at home designing. Grab bestie and enjoy a sugary flower filled day exploring, learning and relaxing on the farm. 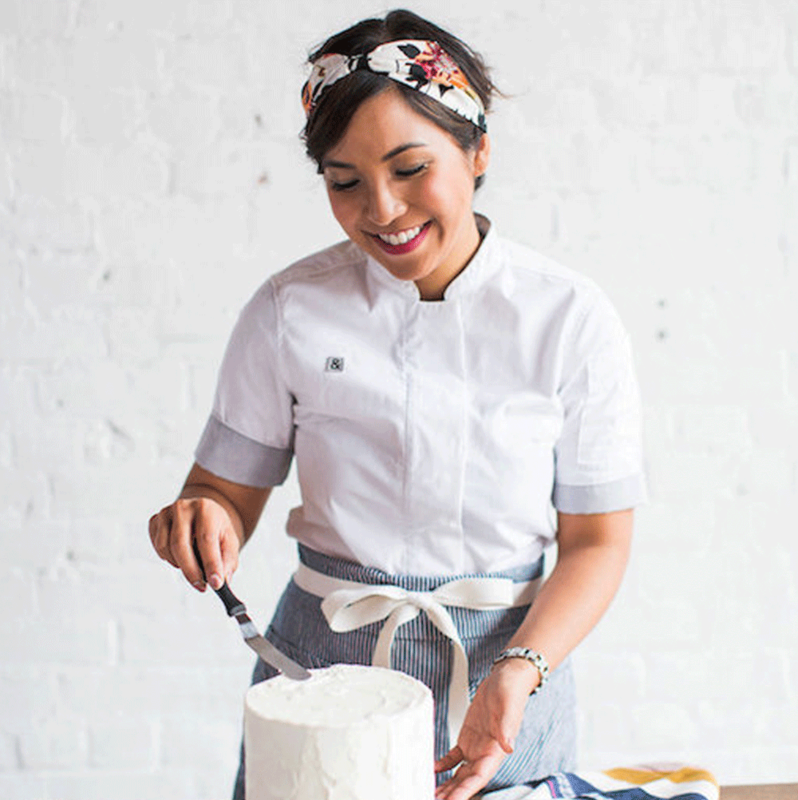 Amanda Ngo, owner & baker at Paper Heart Patisserie has been enamored with the pastry arts for as long as she can remember. While learning and training to be a teacher, she spent most of her college weekends experimenting with recipes. After being a teacher for nearly six years, she decided to attain formal training in baking and patisserie. With a more structured foundation set in her knowledge of the pastry arts and her love of design, she developed a growing passion for creating completely unique desserts for life’s most celebrated occasions. Amanda launched Paper Heart Patisserie in 2013 and her work has been featured on Martha Stewart Weddings, Green Wedding Shoes, Our Wedding Mag and more. We can’t wait to host Amanda at farm! The workshop will take place in our rustic barn studio and include a walking tour of the rose fields lead by founder & farmer Felicia Alvarez. On our tour, you’ll have the opportunity to snip a few of your own blooms to use in your design, ask Felicia questions about rose growing and how to grow beautiful blooms in your garden. Summer the roses really shine on the farm and we can’t wait to share the magic with you. This event includes a farm picnic lunch & refreshments, all materials, including a 6 inch buttercream cake, flowers and a professional photograph of your design delivered to you digitally after the workshop. No prior experience in floral design or baking is needed. All skill levels are welcome. We’ll make sure you feel right at home designing. The workshop will run from 9:30am-1:00pm on Saturday, June 22, 2019. In case of extreme weather, the workshop may be rescheduled or canceled.